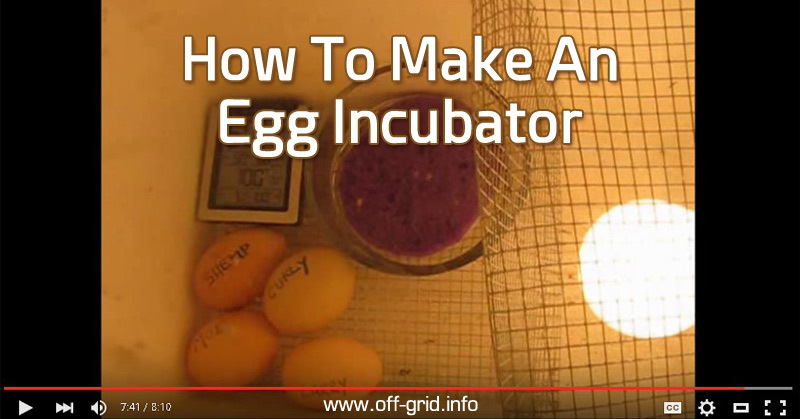 According to the video, the main thing to keep in mind when setting up the incubator is that it needs to maintain a certain temperature and humidity to make the eggs hatch. The temperature should be around 97-100 degrees and humidity between 55-70%. Anything below or above that is harmful to the embryo so getting it right is vital to the survival of the chicks. So get it dialed in before putting the eggs in it. Once the incubator is set up, it is only a matter of maintaining the environment until the eggs hatch. Check the levels religiously to make sure that the temperature and humidity stay inside their recommended range. If the incubator gets too hot, poke holes on the side of the cooler to lower the temperature and you can control the humidity by adding or removing water as needed. You should also turn the eggs, at least, three times a day so that the eggs are never resting on the same side. The goal here is to vary the embryo’s position as much as possible. During the last three to four days, leave the eggs alone and increase the humidity to 65-70% to help the shell crack.